Over one million residents of Magboro, Ibafo, Mowe and other communities in Ogun State are set to get a reprieve by December after 10 years of total blackout. 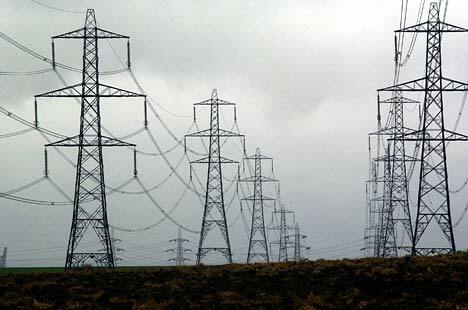 The Ibadan Electricity Distribution Company Plc, whose operational area covers Oyo, Osun, Kwara and Ogun states, and part of Ekiti and Niger states, said it would spend N60m to link the communities to the existing distribution line from the new Abeokuta 132/33KV substation of the Transmission Company of Nigeria (TCN). Mr. Ade Ayileka, the Chief Technical Officer, IBEDC, made the disclosure on Thursday during a tour of the substation and the examination of the construction of the line and poles to link the communities. In his words: “This is a new transmission station; the power capacity here is available and it is much more than the power capacity that is coming from Ojere. Moving from this place, we are going to the communities through which the line passes before it gets to Mowe/Ibafo. Ayileka said the work would be completed in the next six weeks, adding, “This line that is being constructed is not as if it is going to extend to Mowe per se; we are going to link up with the existing line and that existing line is being rehabilitated. He assured them that the company was working to ensure the supply of electricity by Chirstmas. The Leader, Community Development Councils, Obafemi Owode Local Government Area, Mr. Jimi Olusanya, said the communities, including Asese, Ofada and Oke-Afa has been without power supply for the past 10 years. The Project Engineer, Tommy Toak Group, Mr. Ope Akintomide, said the firm had commenced the clearing of trees to erect poles and had done about three kilometres before the Ogun State Government wrote to the IBEDC that it wanted to construct a 10-lane expressway.